To the left we were able to utilize the same thermally-modified Ash that was used for exterior cladding of bedroom and garage. Then for the treads and risers, we used 2x structural pine to compliment the Ash and blend with the pine beams in the adjacent living space. Handrail and guardrail above is black painted steel, and the translucent wall to the right is acrylic screwed to painted Poplar-wrapped studs (provides safety and diffused light). 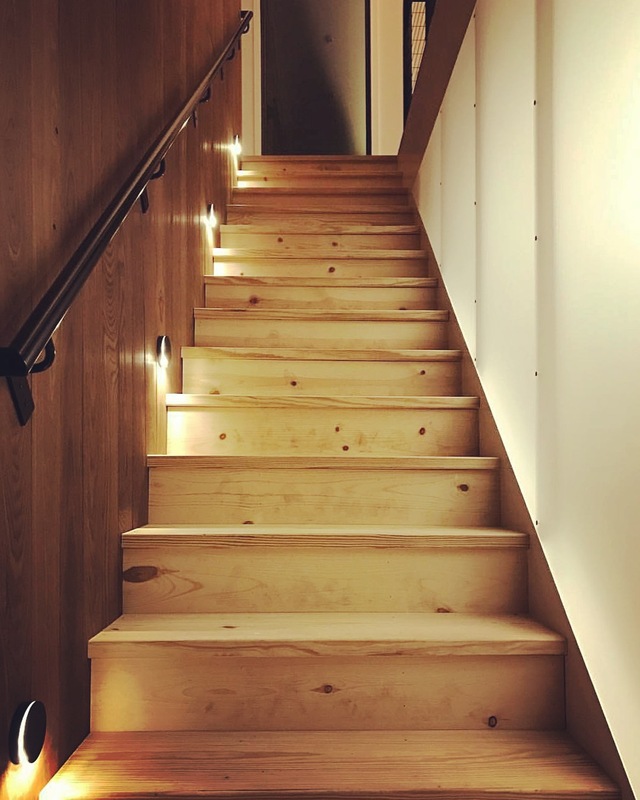 Stair lights are evenly-spaced LED discs, connected to whole house lighting and smart-home system controlled via client’s smart devices.